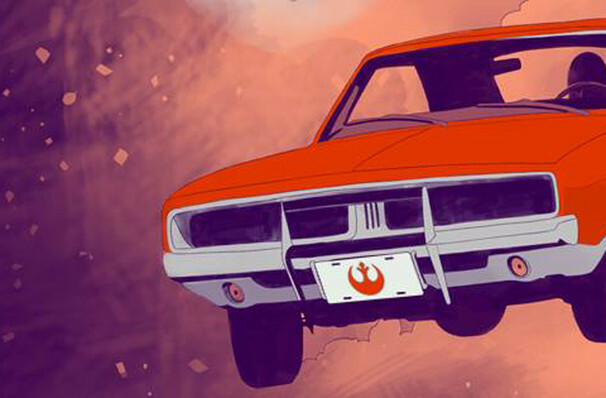 Star Wars meets the Dukes of Hazzard! From the pen of Travis Sharp, the mind behind last year's Wicket the musical, comes this inspired mash-up of intergalactic proportions! 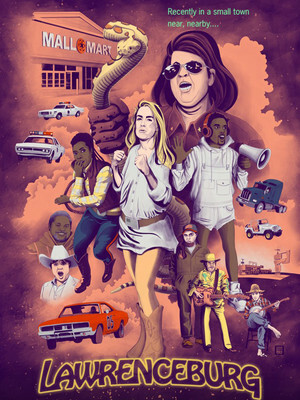 Star Wars meets the Dukes of Hazzard, fusing cosmic adventure with Southern Charm. And since we're changing things up, who says Luke Skywalker has to be a man? Don't miss this hilarious new adventure from Dad's Garage this fall! This show is inappropriate for anyone not old enough to experience adult humor... or anyone that doesn't like it. Seen Lawrenceburg? Loved it? Hated it? Sound good to you? Share this page on social media and let your friends know about Lawrenceburg at Dad's Garage - Mainstage. Please note: The term Dad's Garage - Mainstage and/or Lawrenceburg as well as all associated graphics, logos, and/or other trademarks, tradenames or copyrights are the property of the Dad's Garage - Mainstage and/or Lawrenceburg and are used herein for factual descriptive purposes only. We are in no way associated with or authorized by the Dad's Garage - Mainstage and/or Lawrenceburg and neither that entity nor any of its affiliates have licensed or endorsed us to sell tickets, goods and or services in conjunction with their events.